We provide a professional photography and digital photo editing service. ReddenMedia offers many affordable, highly skilled digital photo retouching services. Whether your hair was out of place on your wedding day, or you would like to preserve a family photo from generations past, we will create the photo you are going to be happy with. -Enhance and smooth skin, Retouch blemishes, scars and other imperfections, makeup enhancements (eyes, lashes, eyes shadow, lip colour enhanced & wrinkles smoothed). -Reshaping, slimming, correct skin tones, skin smoothing and clothing creases fixed. -Background objects removed, or new background added. -Colour correction. Body or background tonal enhancing. Areas damaged or missing restored if needed. -Retouch blemishes, scars and other imperfections. Even skin tone, remove wrinkles. Naturalize skin tones, remove red eye and brighten eyes. Teeth whitening and repair. Add makeup, lengthen and darken lashes. Remove background distractions. Correct colour, lighten overly dark photos and enhance contrast. 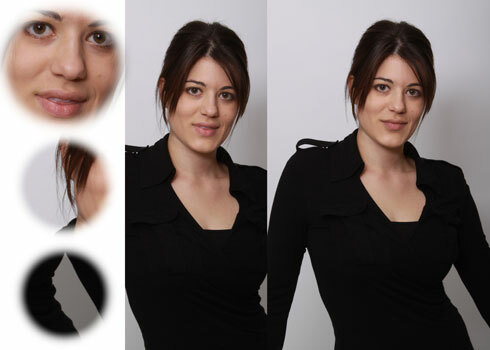 -Enhance or Restore background:Damaged areas in photos such as scratches, spots stains or missing/ torn areas, cracks etc. -Photo resize including enlarging a picture: we can increase the pixels (size) of the image.